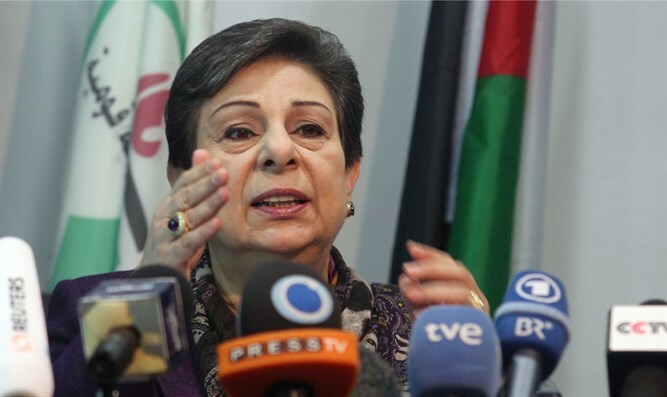 Senior PLO member Hanan Ashrawi accuses UN chief of "succumbing to political blackmail". Palestine Liberation Organization (PLO) Executive Committee member Hanan Ashrawi on Saturday blasted the UN for removing the Economic and Social Commission for Western Asia (ESCWA) report that accused Israel of imposing an apartheid regime on Palestinian Arabs. "Instead of succumbing to political blackmail or allowing itself to be censured or intimidated by external parties, the UN should condemn the acts described in the report and hold Israel responsible,” she said, according to the Ma’an news agency. Her comments come a day after Rima Khalaf, the Executive Secretary of ESCWA, resigned from her post amid pressure from Gutteres to remove the apartheid report. Meanwhile, Riyad al-Maliki, the Palestinian Authority (PA) official in charge of foreign affairs, expressed “deep regret” over Khalaf’s resignation and expressed his “unequivocal objection” to the withdrawal of the report. The report was co-authored by former UN Human Rights Council Special Rapporteur, Richard Falk, who during his tenure repeatedly attacked Israel.